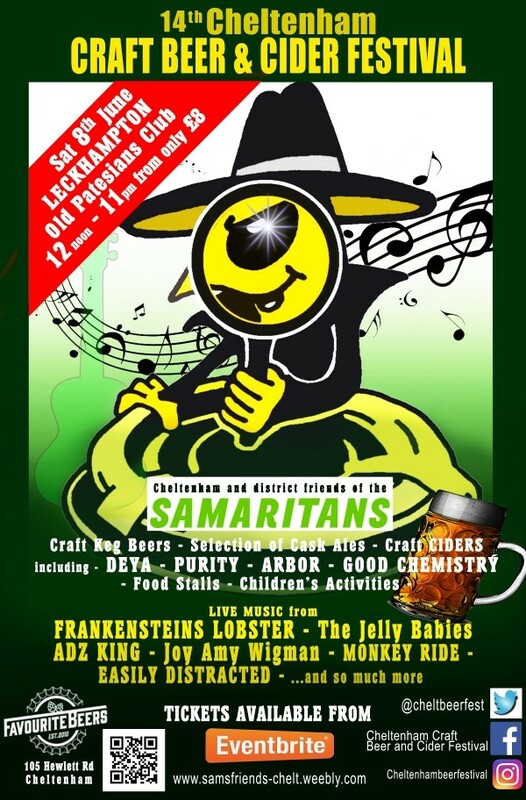 Beer and Cider drinkers will be raising their glasses and raising money for charity at the 14th Cheltenham Craft Beer and Cider Festival which will be taking place on Saturday 8th June at the Old Patesians Club, Everest Road, Leckhampton from 12 noon until 11pm. The event has been described by one punter as ‘surely one of the most chilled out, family friendly beer festivals in the country’. This year’s line-up will include over 40 keg and cask beers from renowned local breweries such as DEYA, Arbor Ales, Good Chemistry and Purity as well as some exciting beers from elsewhere in the UK and overseas. There will also be a wide selection of Ciders and Perry and even a Prosecco Bar. Advance tickets cost £8 (before 25th May - £12.00 afterwards) which include a souvenir glass and event brochure and are available from Favourite Beers, 105 Hewlett Road, Cheltenham. Tel. 220485 (cash only) or online via the Eventbrite ticketing website. In 2019, the current Friends group celebrate their 40th year of raising funds for the Cheltenham Branch with some of the original committee members from 1979 still active. The Beer Festival is their primary fundraising event of the year having replaced the very successful ‘Dragons on The Lake’ dragon boat racing events that they organised at Pittville Park. The group’s ethos since they were first formed has always been ‘have fun fundraising’ – something they adhere to especially well with this wonderful event.